In Zwiesel, near the Czech border, Schott Zwiesel produces “The World’s Best Crystal Glass”. They introduced the first lead free crystal, using proprietary techniques employing titanium and special tempering processes. 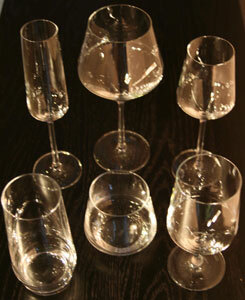 The result is Tritan(tm) brilliant, break resistant and dishwasher safe stemware and glassware. And, it’s very affordable!